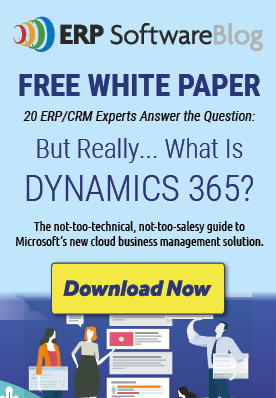 If you are considering a new ERP solution, Microsoft Dynamics GP deserves your serious attention for many reasons, and this whitepaper outlines the top ten. Microsoft Dynamics GP, or formerly Great Plains, has been around for nearly 30 years and has a robust feature set. Microsoft Dynamics GP really shines in ﬁnancials, ﬁnancial reporting, and integration.